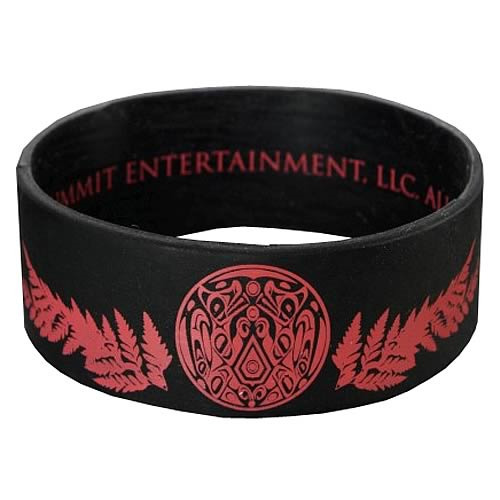 Twilight Breaking Dawn Team Jacob with Leaves Rubber Bracelet makes it easy to accessorize with supernatural style! Uniquely-crafted bracelet featuring "Team Jacob!" Show off your love of the Twilight Saga! Show off your love of Twilight with the Twilight Breaking Dawn Team Jacob with Leaves Rubber Bracelet! This bracelet features a "Team Jacob" design and leaves! Choose your side and order yours today! Ages 14 and up.